Recent changes proposed by the Ohio Civil Rights Commission (OCRC) to Ohio’s administrative rule on pregnancy leave have been shelved for at least 90 days. The changes would have expressly required employers to provide 12 weeks of unpaid leave for pregnancy and childbirth, where medically recommended, regardless of the pregnant employee’s length of service. These changes would have brought the express language of the administrative rule in line with the interpretation the OCRC has been giving it all along. The current rule requires employers to provide “reasonable leave” for pregnancy and childbirth, and the practice of the OCRC has been to consider a leave policy to be reasonable if it makes 12 weeks available when medically recommended, regardless of tenure. Last week, the Joint Committee on Agency Rule Review (JCARR) rejected the proposed rule change in a 9-1 vote. However, the reason given for the rejection was that the OCRC had not complied with a requirement to provide information on the economic consequences of the proposed rule change on public employers. It is likely that the OCRC will cure this deficiency in its application and re-file it after the minimum 90-day waiting period. Recent comments by OCRC Chief Legal Counsel Matt Miko give no indication that the OCRC intends to alter the substance of the proposed changes when it re-files. Employers should understand that the OCRC does not view the proposed changes as setting out anything new. The OCRC has always interpreted Ohio’s pregnancy discrimination law as requiring employers to provide up to 12 weeks of unpaid leave when medically recommended, regardless of the employee’s length of service. While the business community had hoped the OCRC would change the rule to reflect a consistent interpretation with federal pregnancy discrimination law, it does not appear the OCRC has any intention of doing that. Federal law requires that pregnant women be treated the same as other workers with similar ability or inability to work, and permits the application of length of service requirements to pregnant employees so long as those requirements are applied to all employees. The rule changes proposed by the OCRC would also have clarified the OCRC’s position with regard to light duty by requiring that, if an employer has a light duty program, it must be available to pregnant women. 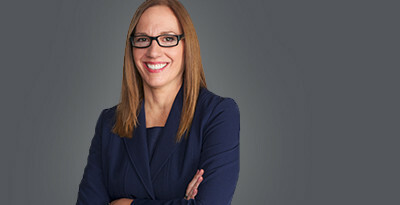 Although this change is also on hold for at least 90 days, the OCRC will likely take the position in the interim that the anti-discrimination statute already requires employers to include pregnant women in their light duty program, if they have one, and this inclusion is likely to be required without regard to length of service.